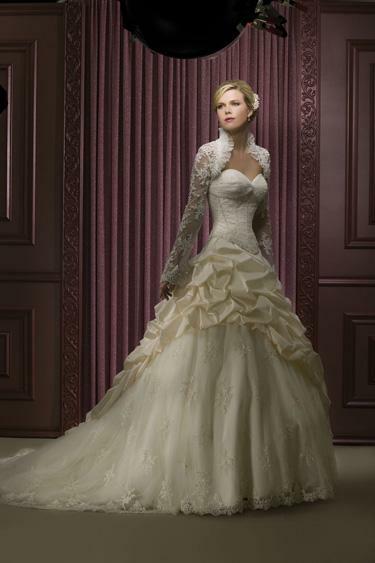 Exquisite Demetrios gown! Satin, tulle, and beading. Dress is strapless with lace jacket. Can be worn with or without jacket. Only tried on once in store (fiance broke off engagement right after purchasing dress). Tag is attached and receipt is available upon request. Pristine condition. No alterations. Dress has been kept in zippered dress bag. Photos of dress have been copied from internet as I have no pictures wearing it due to wedding being canceled.